What happens when mix cars with people who can have a predisposition to fail? Car fail of course! Enjoy these car failure pictures and feel free to submit your own. Want something a little more witty? Check out Clarksonisms! NO SIR! . 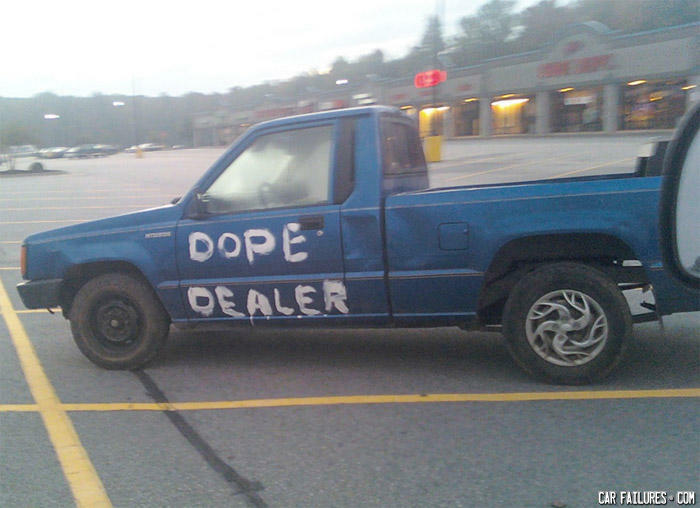 . . YOU ARE A FAIL DEALER!!! How do my truck get on here ! J.. K..
With a ride like that, it's gotta be quality s**t! Q:What's worse then Finding A Worm in Your apple? A: Realizing how empty your life is. Boy: Is your mom mexican? ©2008-2019 Car Failures. All rights reserved.